These are recent photos of a few of the outplants that Education Coordinator, Jennifer Keck, and volunteer students groups did last year. Their growth in a year is pretty impressive given that most corals grow only 1 cm a year! You can also see with the Elkhorn how they have grown onto the substrate. Look at the Staghorn growth! You can tell it is the same area from the lettuce coral in the foreground to the left. Cameras were zoomed out to get all the growth into the picture! If you would like to volunteer in caring for the Coral Trees on your future diving visit to Anthony’s Key, please contact us here. 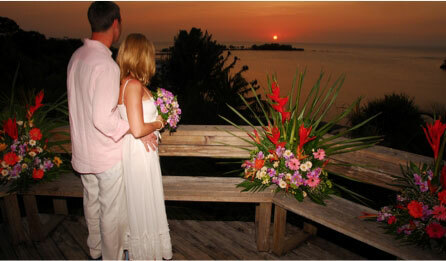 “Corals of Opportunity” is the name given to the corals gathered for the trees. They are corals that have broken or fragmented naturally due to storm and wave activity. One hundred pieces were attached to each tree. After nine months, 95% of the 200 colonies have survived and more than tripled in size. We have seen no signs of disease or bleaching in any of the fragments. With these positive results, we are ready to increase the number of structures and hope to have between 8 and ten trees by the end of 2017. By March of 2017, the fragments should be a substantial size to begin out-planting. 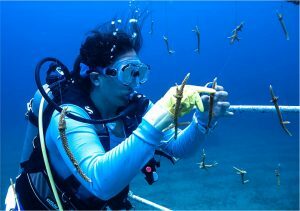 Out-planting involves taking newly created fragments from our nursery-reared corals and returning them back to the reef. The mother colonies will stay on the tree where they will continue to grow and offer a continuous source of fragments to “re-seed” the reef. As of now, we’ve deployed two coral “trees” at our location. 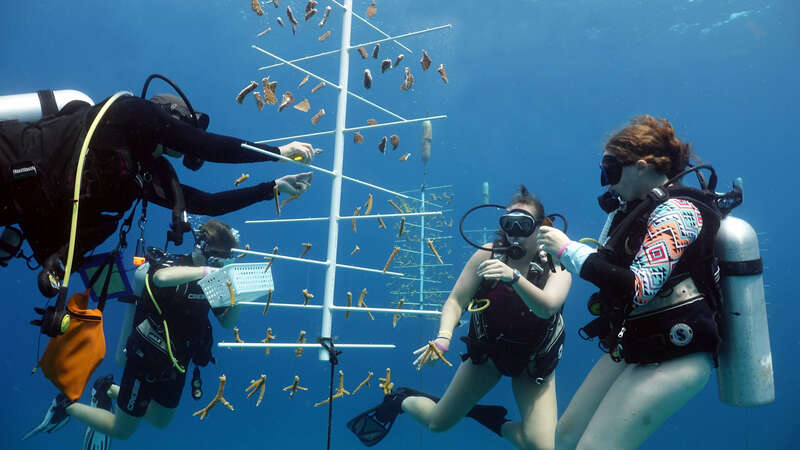 The trees are constructed from PVC pipes to create branching structures to which the coral fragments are attached. 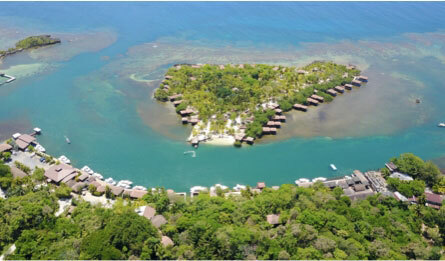 Because the trees are elevated, they protect the corals from predatory organisms and sedimentation. Scheduled maintenance also helps to alleviate another stress of algal overgrowth. 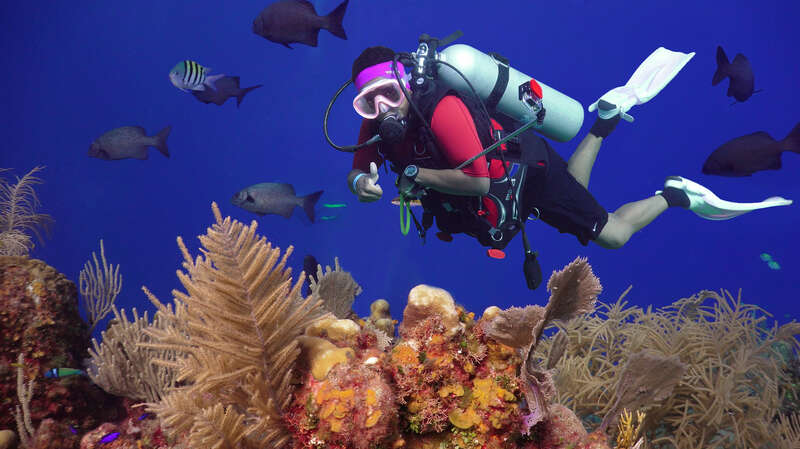 Our goal for this project is to make it completely self-sufficient by utilizing the visiting university groups and volunteer recreational diving community. 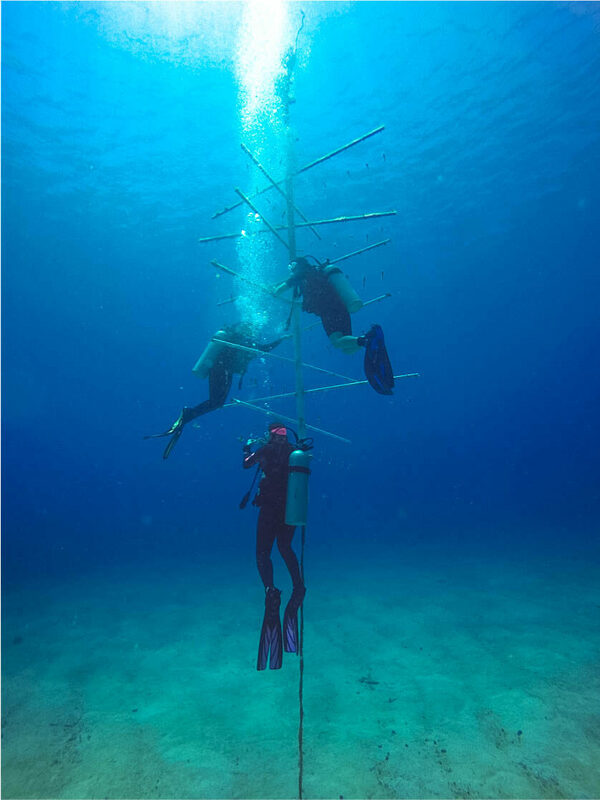 By offering lectures and training to these groups, we can secure the human resources and funding needed to help clean and maintain the structures while replenishing local populations of critically important coral species.